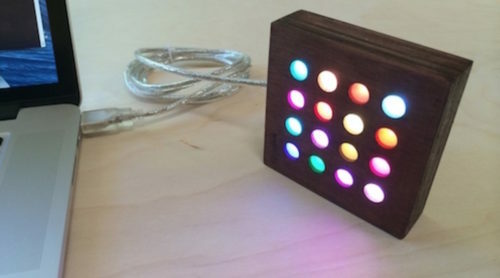 One of the goodies from the Hackaday Superconference was an Adafruit HalloWing. 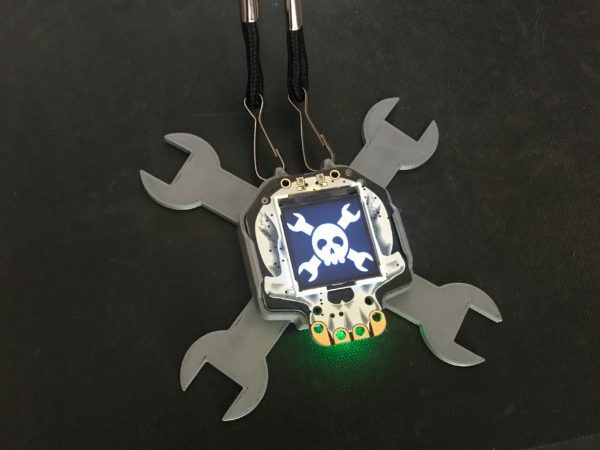 And I thought: surely a Jolly Wrencher case must be made for this skull-shaped circuit board! How has no one made of these yet? So I remixed an existing clip-on case that fits the included battery (Thanks DoctorWhich! ), added the Jolly Wrenches and printed it out. It came out pretty great. Though now I wish I had some black PLA. For four months this year I had a residency at the Supplyframe DesignLab. 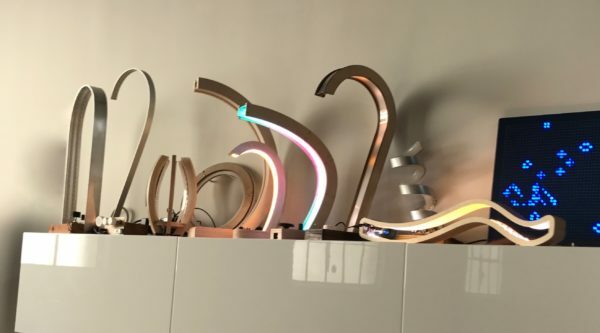 I worked on “ILOVELAMP“, a project experimenting with creating lamps with configurable light emitting surfaces using addressable LED strips. I really like the generation previous to the current Macbook Pros. You know the ones. They had all the useful ports like USB-A, HDMI, an SD Card slot, and MagSafe! And it had a long-lived battery in a thin case. That is my Macbook Pro. And it’s wonderful. But now 3.5 years on, the once legendary battery was at about half its design capacity. I got 1600 charge cycles out of it though, which is astounding. 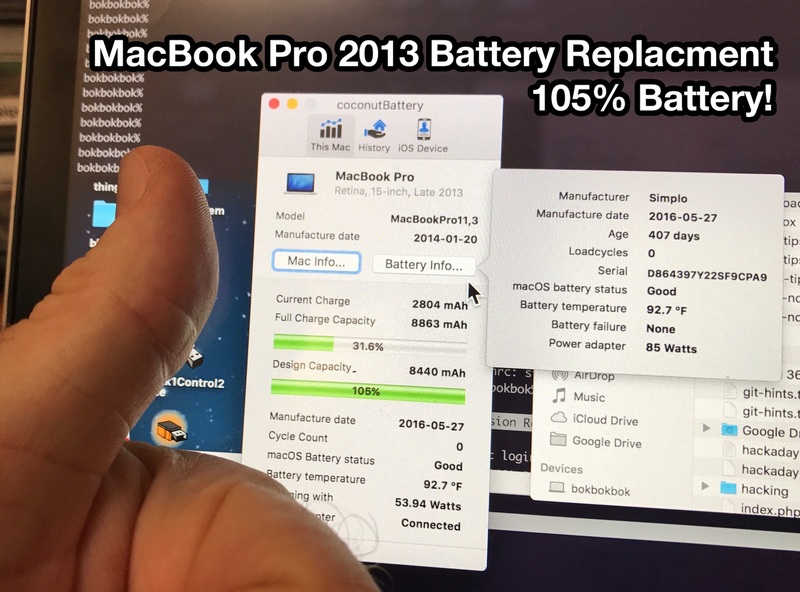 And it still worked, unlike a previous Macbook’s battery that ended up getting a bad cell that caused it to unceremoniously shutdown at 20%. So I replaced it and I think it is working out great. 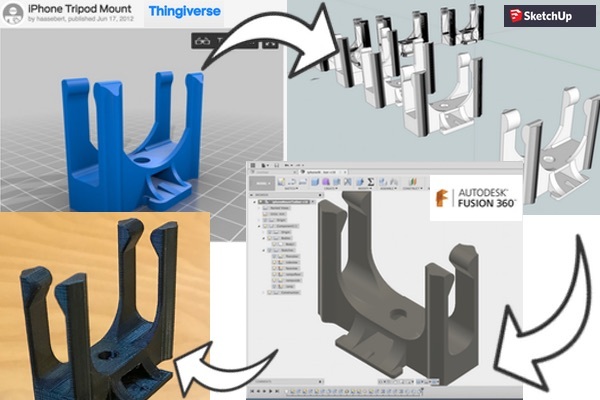 Here’s how I taught myself Fusion360 by updating a 3d-printable iPhone tripod mount I found on Thingiverse, and put the update back on Thingiverse. 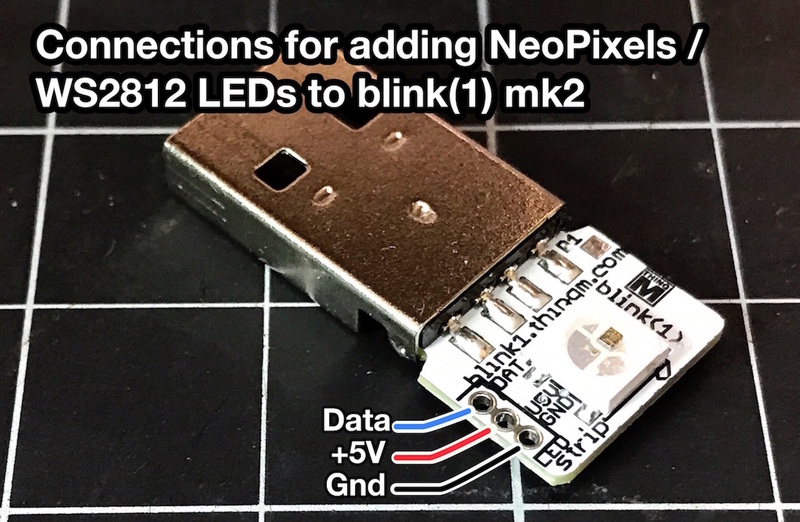 You may not have known, but blink(1) USB notification LEDs have a secret: they can drive 16 extra LEDs in the form of “NeoPixel” WS2812 LEDs. This is what was behind the “blink(16)” project. 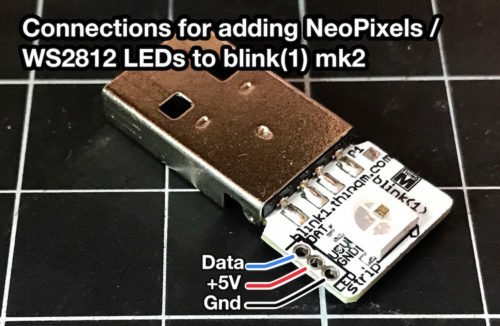 If you take apart a blink(1), you’ll see it has three tiny plated holes. These are the three needed by WS2812 LEDs: +5V, Gnd, and Data. 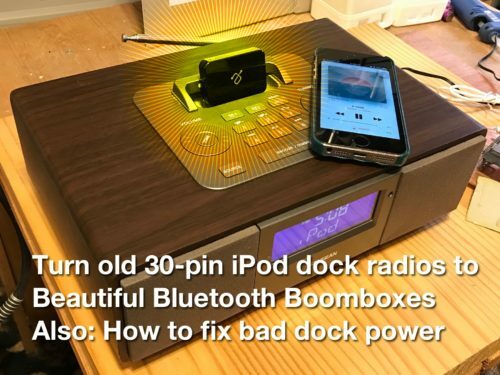 New uses for old iPod 30-pin dock devices: Bluetooth Boombox! A few years ago In our kitchen we had this pretty good Sangean WR-5 clock radio with iPod dock. It broke but I recently fixed it and found an upgrade for it to make it actually usable again.